What determines your answer on a chilly morning when someone asks you: how was your night? To some extent, you will respond either positively or negatively depending on what you dreamt while you slept. But what are dreams? What do they signify? Dreams are simply images and stories that our minds create while we are asleep. It is a mysterious phenomenon that is not well understood by scientists. Dreams present diverse scenarios depicting romance, fun, entertainment, fright, or some bizarre occurrences. Do we just dream as a routine process during sleep, or is there a significance of dreams? Well, scientists have postulated several theories to try and explain why people dream. However, a satisfactory conclusion has never been achieved. Perhaps the most agreeable reason why people dream is that your mind starts consolidating and processing information gathered throughout the day through hearing, seeing, or thinking. Some studies have shown that dreams may predict and help you prepare for a future threat. Besides, dreams signify your brain's offline activities and unconscious mental functions that manifest vividly as though you were awake. They may also be simulations of what you experience daily as you go about your day-to-day activities. Not much is known about dreams since the process cannot be effectively studied in a laboratory setting. But there is hope that technological advancements may help unravel the mystery of the dream process. Dreams can have variable meaning based on the theme you are dreaming about. Though the explanations are somewhat hypothetical, dreams that entail falling, being chased, or you being in danger may signify that you are experiencing conflicts, either with other people or within yourself. Dreams that mean you are experiencing social concerns and the fear of getting embarrassed may involve failure in exams, inappropriate dressing, arriving late for an appointment, or losing a fight. The most fascinating thing about dream interpretation is the various explanations that exist when individuals from different cultures experience the same dream. Nevertheless, it is only the dreamer who can fully comprehend and interpret the meaning of his or her dream. For instance, what does it mean when someone dies in your dream? Does it mean they are going to die or they are actually dead? Or does it mean another thing altogether? Most cultures believe that dreaming about the death of a loved one may be a premonition of their impending death in real life. In most cases, this type of dream is considered a bad omen. However, it is clear that this explanation is not based on any logic and should not be considered the ultimate explanation for such vivid dreams. Change is inevitable. And when someone is set for tremendous changes in life which might involve a change in character, habits, relationships, or goals, you may dream about their death. Death usually signifies a type of rebirth from the world of the living to the spiritual world. In this regard, dreaming of someone's death may be a figurative indication of the transformations taking place in their lives. This may be the case if you have observed the person for some time and have noticed that he or she is undergoing some transformation in life. To some people, life can be so terrible that they think that the only way to escape is through death. Painful relationships, stressful jobs, torturous guardians, poverty, and fake friendships may make someone prefer death over life. A death dream may signify your desire to get out of such oppressive circumstances. If you dream about the death of someone, you may be desiring the same escape mechanism for them. Sometimes you may be so attached to someone that you dread losing them to death. This is not a strange thing. It is very normal to fear the death of the person you love. When this fear becomes more incessant, your brain may consolidate your thought processes to produce a dream depicting the death of that person. You should not be worried, though – it does not signify that this will happen to them anytime soon. There are a lot of physiologic processes that take place in your body when you are stressed. Traumatic experiences or torturous experiences may make you psychologically unstable and emotionally disturbed. Long-standing experiences may find their way into the subconscious part of your brain and recur later in dreams. When these bad feelings intermingle in your mind, they may end up creating a thought process of death in your dream. You may also be full of hatred for someone to the point of wishing their death. 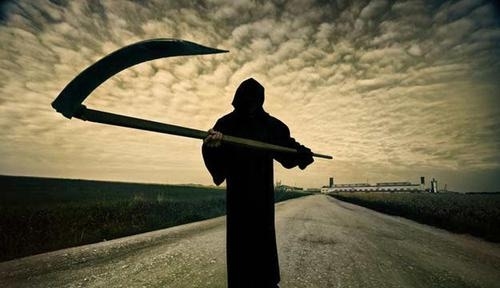 This death dream often occurs in people who feel like they should completely eliminate someone from this world. In such circumstances, your body may be so overwhelmed with anger that your mind may simulate the death of that person in a dream just so that you can get relief. The meanings of dreams are often difficult to fathom. Most cultures have their own interpretations of dreams. What does it mean when you dream about someone dying? Well, these sentiments are not based on any logical or scientifically proven concept. They should not make you worry too much about a death dream.